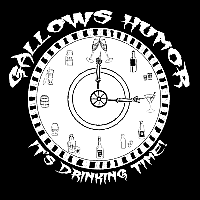 Gallows Humor has released more pleasures for your earholes. Our new album “Spooky Sauce” is released and is available at CD Baby: http://cdbaby.com/cd/gallowshumorband2 Make sure you add this to your collection so that you will not feel depressed and deprived! Upcoming Gig! Spring Escondido Renaissance Festival! April 27th-28th, and May 4th-5th!